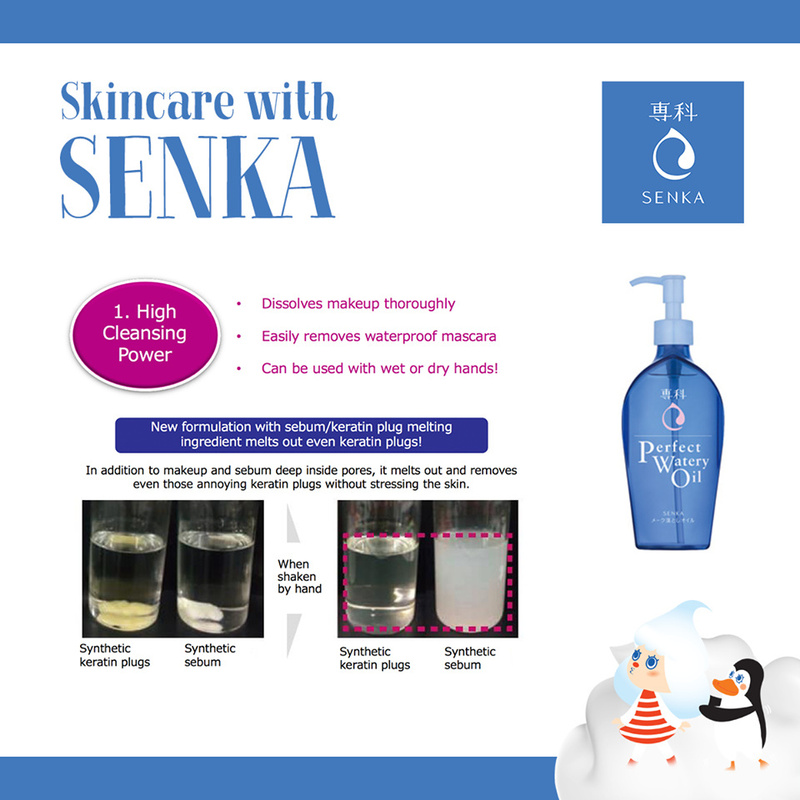 Senka Perfect Watery Oil n" is a makeup remover of watery type which has both of high washing power and skin friendliness. Tender and comfortable watery oil melts and removes the make up and the sebum dirt in the deep skin pores to wrap skin gently.It even removes water proof mascara. You can use even when your hands are wet.It washes up with moisture and comfortablity. Take appropriate volume(about 4 times pumps) at first, rub the make up enough, then wash with cold or warm water enough.